This summer, Disneyland Paris will host its first official Pride event, becoming the first of Disney’s many theme parks to hold an event of any kind openly celebrating the LGBTQ community. Magical Pride will take place on June 1, kicking off the month-long Pride festivities. Though the entertainment lineup is still in the cryptic early states, Disneyland Paris’ website promises an illuminated parade, special after-hours park access (including lots of rides) til 2am, and -- please remember that these are their words, not mine -- a “stunning dance party featuring some artists dropping some banging beats.” (Cue this gif.) The park is located 20 miles from Paris, and tickets start around $90USD (children under the age of 3 can get in free). You can book your reservation here. If you feel like you’re recalling other Pride-focused events and marketing stunts from Disney franchises in the past, you’re not exactly wrong. The company unveiled special Pride-motif Mickey Mouse Rainbow Love ears for Pride 2018. Disney Gay Days has been a beloved Pride-month staple since 1991, but there’s never been any actual affiliation between the event and its Walt Disney World location. Magical Pride itself has been a feature of Disneyland Paris since 2014, but for the last four years it’s been organized by UK tour operator Greatdays Holidays, not by Walt Disney Co. -- in other words, no formal affiliation between Magical Pride and Disney either. 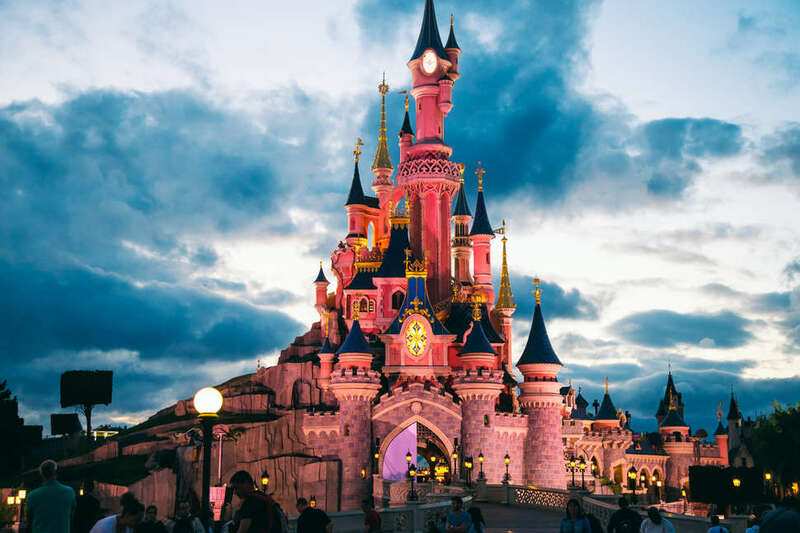 Now, for 2019, Disneyland Paris is taking up as its own “signature event” for Pride season, Greatdays Holidays tells Thrillist. Notably, in 2007, the Walt Disney Company opened up its Fairy Tale Wedding program -- $8,000-and-up nuptial packages at locations like the Cinderella Castle in Disneyworld and Disneyland, plus a cruise line -- to queer couples, though the US Supreme Court wouldn’t legalize gay marriage for another eight years.